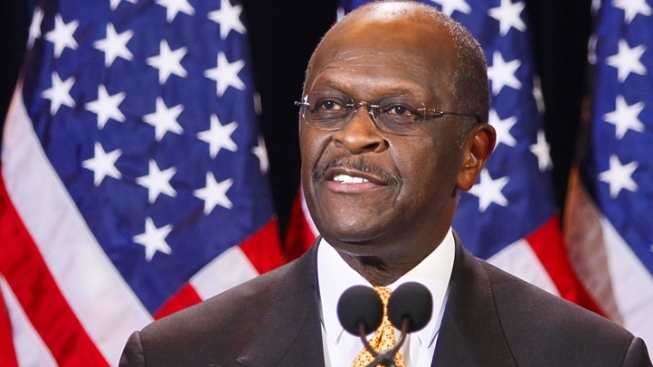 What was Herman Cain thinking when he hemmed and hawed about Libya during that interview? Jay Leno and David Letterman have a few ideas. Herman Cain's Libya interview befuddlement won him a turn as a late night punching bag Wednesday. "When asked about Libya, [Cain] said, 'Hey, I've never touched a woman there! Never,'" Jay Leno joked. "I think he's getting a little desperate," he continued. "Halfway through the interview about Libya, he said, 'Hey, don't you have any questions about sexual harassment? You know, another woman has come forward!'" David Letterman devoted his Top Ten to the same interview — or rather, to those seconds when Cain seemed to be searching for his position on how President Obama had handled Libya. Number 10 on Letterman's list of "Thoughts that Went through Herman Cain's Mind at this Moment": "Libya? I remember a Lydia, but I don't remember a Libya." Number six: "Uh... 9-9-9?" Number two: "These things are a lot funnier when they happen to Rick Perry. And number one: "Well, it's been fun, see you in 2016!"